A s a genre that questions the very notion of taste, contemporary art can be overwhelming. So at MOCAD’s Café 78, a food as simple as sushi is most welcome. 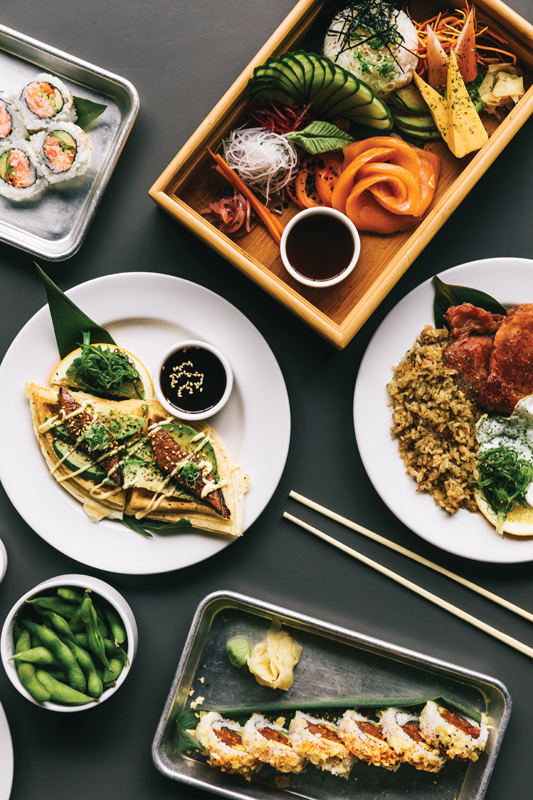 Launched as a pop-up in August 2015, Super Happy Sushi offers a fresh, quick bite for museum-goers and hungry Midtown visitors alike. The place is owned and operated by the Detroit Optimist Society — the restaurant group behind Detroit hot spots such as Wright & Co., Sugar House, and the Peterboro. 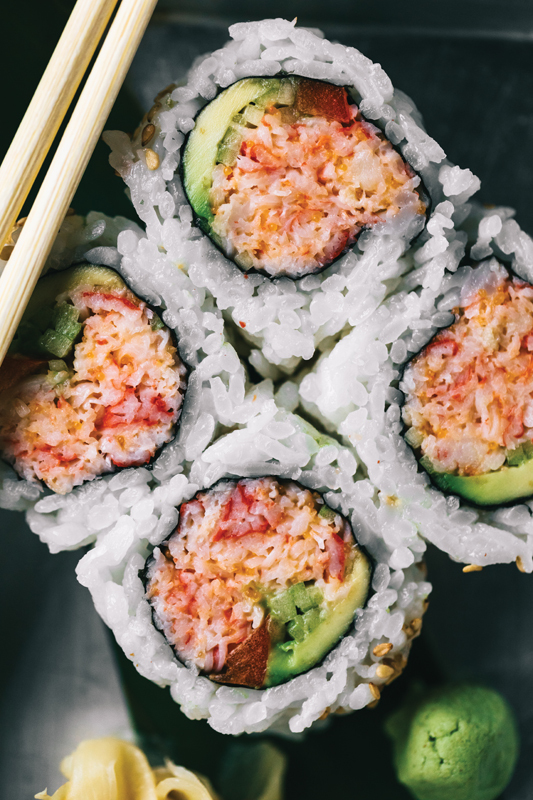 Co-owners Dave Kwiatkowski and Marc Djozlija recruited former Townhouse sushi chef Rob Lee for the project, who has filled out the food menu with typical sushi-joint staples like edamame, miso soup, tuna sashimi, and the familiar California roll. To be sure, MOCAD’s humble corner café and bar isn’t reaching to Jiro Dreams of Sushi heights, but there is an emphasis on covering the basics, and it shows. The nigiri is melt-in-your-mouth fresh, the rice is subtly seasoned, and the presentation is casual and unassuming. That said, the small menu is not without a few creative, pleasant surprises. The food-as-fun philosophy extends to the restaurant’s drink menu, which includes “contemporary cocktails” like the Shiso Fancy Drink — a refreshing gin and ginger concoction garnished with shiso leaf — and the Hidden Fortress, a sweet, Arrack-based drink with hibiscus honey syrup. On weekends, museum visitors can also tour an imaginative sushi-inspired brunch menu featuring items like the “Waffle!” with grilled eel, the Minoru Fried Rice with bacon, and the Benedict Nigiri with tamago, crab, and hollandaise. Regardless of mealtime, this latest installation from the Detroit Optimist Society proves to be as delightful and satisfying as its super fun name. 4454 Woodward Ave., Detroit; 313-784-9636. L & D Wed.-Sat. Br. Sat. and Sun.